Arthur Fitzgerald Kinnaird, the son of the tenth Baron Kinnaird of Perthshire, was born on the 16th February 1847. Kinnard was educated at Eton College and at this time public schools were pioneering the game of football. Kinnaird was an outstanding sportsman and became one of the best footballers of his generation and after leaving school played for the Wanderers and Old Etonians. Kinnaird went onto study at Trinity College, Cambridge, where he met Charles W. Alcock. In October, 1963, Kinnaird and Alcock helped establish the Football Association. 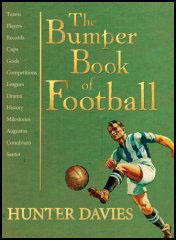 The aim of the FA was to establish a single unifying code for football. The first meeting took place at the Freeman's Tavern in London. In 1868 Kinnaird joined the council of the FA. 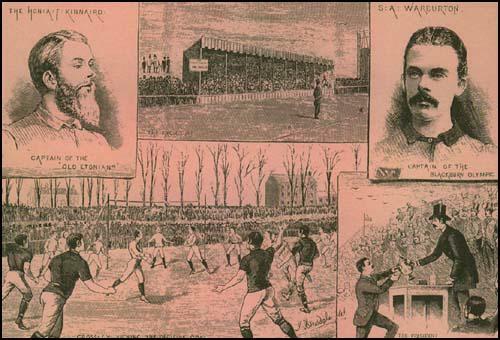 In November, 1872, Kinnaird and Charles W. Alcock arranged the first international football game to be played. Alcock took a team of English born players to play against a team from Scotland. The match, played in Glasgow, ended in a 0-0 draw. The main objective was to publicize the game of football. It had the desired effect and the following year the Scottish Football Association was formed and the England-Scotland match became an annual fixture. On 8th March, 1873, Kinnaird won his first and only international cap for Scotland against England. Playing in front of 3,000 spectators at the Kennington Oval, England won 4-2. Kinnaird developed a reputation for hard-tackling. In an article about Kinnaird, Hunter Davies argues that: "On the pitch, he was a fierce competitor, not to say violent. He got stuck in - as we say today: he took no prisoners." His mother, Lady Kinnaird, was concerned that the possibility that her son would be seriously injured. On one occasion she told one of her son's teammates that she feared that he would one day arrive home with a broken leg. "Don't worry, my Lady," he replied. "It won't be his own." 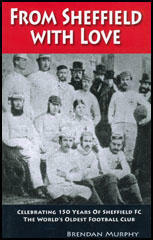 Kinnaird played in nine FA Cup finals, winning five of them with Wanderers (1873, 1877 and 1878) and Old Etonians (1879 and 1882). Blackburn Olympic defeating Old Etonians 2-1 in the 1883 FA Cup Final. Kinnaird took his place in the House of Lords after the death of his father. He was also President of the YMCA, Lord High Commissioner of the General Assembly of the Church of Scotland, and director of Barclays Bank. 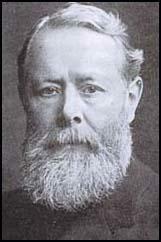 Kinnaird also served as President of the Football Association (1890-1923). Arthur Fitzgerald Kinnaird, the eleventh Baron Kinnaird of Perthshire, died on 30th January 1923.